Whilst researching his latest book, Pete McDonald struck pure gold in terms of historic climbing footage when he came face to face with the BBC film 'Eye to Eye' comprising some of the great names of the 50s in front of and behind the camera. It is August 2014 and I am deep in the website of the British Film Institute (BFI), searching for a film connected with my research into the history of Derbyshire County Council’s White Hall Centre for Open Country Pursuits. Using the search term ‘Joe Brown’ brings up six titles, each one a potentially fascinating historical resource. But I resist the temptation to be distracted. The oldest one, filmed in 1956 and broadcast on 23 August 1957, is the one I need to investigate. Four months later, after I’ve been down several blind alleys, and thanks to the BBC contributor-access scheme, helped by the expenditure of £169, a parcel arrives containing a DVD. I watch the film curiously, wondering whether my effort to obtain a copy has been worth the trouble. Eye to Eye episode 8, modestly titled Climbing, is only half an hour long, but historically it is pure gold. Most importantly for my particular purposes, it includes some footage of a White Hall school group climbing at Windgather Rocks. Straightaway, I watch it twice more. Let me sketch the background to the film. In late 1955, when Geoff Sutton arrived at White Hall Centre to take over the wardenship from Peter Mosedale, there were still a few voices in Derbyshire saying that the old mansion perched on a windy spur was a white elephant. ‘In those early days a good many people in the county were doubtful of White Hall’s educational value, and whether public money was being well spent.’ Partly to counter this negativity, Sutton started lobbying for constructive publicity that would lead to recognition and respectability. He did so in a deliberate and organised way, intensifying a process that Jack Longland and Mosedale had started. In 1956-7 Sutton was the key figure in organising some early BBC radio and television features on climbing. As well as seeking general support for White Hall, he wanted to promote the sport of climbing and to improve the public’s understanding of the curious games climbers play. In about 1956, Sutton teamed up with Stanley Williamson, a writer and BBC documentary producer of remarkable range, covering subjects as diverse as the music of Vaughan Williams and modern Japan’. Williamson loved the hills of northern England. After taking up rock climbing in the early 1950s, Williamson had recorded what he claimed was ‘the first live running commentary from a rock climb’. To achieve this, he had followed the well-known climber Rusty Westmorland up a route on Shepherd's Crag, armed with ‘a copper-rimmed moving-coil microphone with a cable running back to an engineers’ van on the roadside below’, linked by telephone to Broadcasting House in Manchester. At least four BBC radio programmes on climbing, broadcast in 1957-9, list Williamson and Sutton in the credits, together with a sprinkling of names of well-known climbers. The Williamson-Sutton partnership also resulted in a pioneering climbing documentary for television. It was filmed in 1956-7 as an episode of a series called Eye to Eye. The programme was designed to show a range of difficulty from easy beginners’ climbs on short outcrops to more serious and demanding routes on mountain crags. Williamson and Sutton designed it to both inform and entertain the viewer. The filming of rock climbing for television posed technical and organisational challenges that may not have been unique but which were certainly unusual. Ways had to be found to deliver heavy equipment to remote cliffs and then to position the cameramen safely in exposed positions. This required co-ordinating a sizeable group of climbers and technicians to go into action exactly when required to do so, always subject to the weather and light allowing the climbing and filming to proceed successfully. 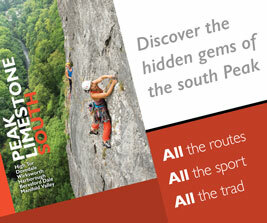 The finished programme compressed about seventy years of English and Welsh climbing history into thirty minutes. The main ingredients were simple: two historic climbs from different periods; three old identities from memory lane and two well-known young men, fresh from Kangchenjunga; two female role models, in the vanguard of women’s climbing; and a group of beginners at Windgather Rocks. A few supporting characters hovered around in minor roles. This mixture was wonderfully effective. Even the hitchhiking looks genuine. The film is now a rich historical resource, a reminder of the helmet-free years, of shoulder belays, of tying on with a bowline and of nylon or hemp waistlines. The climbers wore cotton shirts, woollen jerseys, floppy cotton trousers or voluminous breeches. Some wore cotton anoraks. On their feet were boots or noticeably tattered PAs or gym pumps. In the Lake District, the 71-year-old ‘Rusty’ Westmorland and Monica Jackson climb Napes Needle, where, some say, British rock climbing began in 1886. Perhaps Westmorland’s Tyrolean hat is a deliberate addition, to take us back to those times. In 1956 Jackson had led a women’s expedition to the Himalayas. The Manchester Guardian had reported that ‘Mrs Monica Jackson, leader of the first all-woman expedition to the Himalayas, is small and fragile-looking – a dainty little person, who at five foot one tops Mme Claude Kogan, “the world’s highest woman”, by an inch.’ Claude Kogan was a pioneering French mountaineer who died in October 1959 while leading a women-only expedition to climb Cho Oyu. Also in the Lakes, George Abraham, one of the famous photographer brothers and now about eighty-five, has swapped his camera for a paintbrush and watercolours, and sits quietly in his studio, working on a landscape. In north Wales, in the warmth of Pen-y-Gwryd Hotel (which reportedly is still, in 2015, uncomplicated, eccentric and timeless), the octogenarian Geoffrey Winthrop Young (founder of the BMC and its first president) discusses what he calls ‘the three elements of mountaineering’. His moustache is still intact, his bow-tie a little the worse for wear, his voice clipped. He chooses his words carefully, speaking slowly and deliberately and precisely, as if he were reading one of his poems. He knows that there won’t be many more of these TV moments. He has prepared well for the camera. Young had been born in an age of letter-writing and diary-keeping, of poetry and prose, not film. The Pen-Y-Gwryd and crowds. Arnold Lunn and Geoffrey Bartrum of the old school. The Hunts also, and the Olympic runners Brasher and Disley, nice boys. We drove about, and to the coast. I made up my mind at last about the immense change to the new climbing world. No use bridging any gap. It is a new and different mind, as well as approach. Joe Brown and the colossal new ‘tigers’ doing their rock tricks for television. I was kept a whole morning to record a three-minute introduction. And I had to repeat it, owing to a camera break. From the Pen-Y-Gwryd, the film moves to Idwal. Gwen Moffat, the first woman mountain guide in Britain, leads a climb on the Idwal Slabs, wearing boots. She is seconded by her husband Johnnie Lees, a lanky RAF mountain rescue team leader. A young George Band, who with Joe Brown in 1955 had made the first ascent of Kangchenjunga, answers the question: how does rock climbing in Britain compare after climbing in the Himalayas? A geologist and petroleum engineer by profession, Cambridge educated, ex-president of Cambridge University Mountaineering Club, his credentials perfectly fit the Climbers’ Club template. Joe Brown talks about why people climb, in a Coronation Street accent and without using the personal pronoun ‘one’. He makes the point that ‘climbs don’t ’av t’be difficult t’be enjoyed’. ‘climbs don’t ’av t’be difficult t’be enjoyed’. The film also includes footage of Geoff Sutton and Gordon Mansell teaching a group of novices some basic climbing techniques at Windgather Rocks. This is a place, the commentator says, where children can take their first steps in perfect safety. The commentator was – who else but – educator, climber and broadcaster Jack Longland, the lucky owner of a cut-glass accent that was perfect for the BBC of the 1950s. And perfectly at ease quoting Byron. Sutton’s drive for increased recognition and a helpful status included giving talks and slide shows to schools and clubs. The public relations campaign, directed at educationists as a whole and the general public, culminated in a visit to White Hall by the Duke of Edinburgh on Friday 21 November 1958, reported on ATV Midlands television news and in local and national newspapers including the Illustrated London News. British Women Climb, the Mountain Heritage Trust’s new exhibition, opened at the Keswick Museum last month. Available to view until 16 September 2018, the installation celebrates the significant achievements of female climbers from the past 200 years.